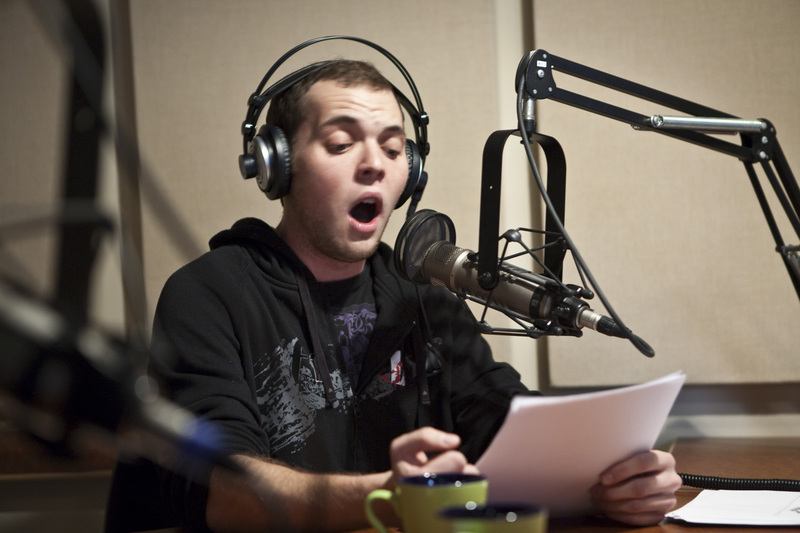 Voice-over (also known as off-camera or off-stage commentary) is a production technique where a voice—that is not part of the narrative (non-diegetic)—is used in a radio, television production, filmmaking, theatre, or other presentations. The voice-over is read from a script and may be spoken by someone who appears elsewhere in the production or by a specialist voice talent. It is usually pre-recorded and placed over the top of a film or video and commonly used in documentaries or news reports to explain information. Voiceover is used in video games and on-hold messages, as well as for announcements and information at events and tourist destinations. It may also be read live for events such as award presentations.